Of the mandatory consultees, the Highway Officer made a holding objection because insufficient information had been given for him to make a proper assessment; the Environmental Health Officer was concerned about the possibility of smoke, dust and noise affecting surrounding buildings and wanted strict controls in place if approval was to be given; the Conservation Officer objected on the grounds that the design was incompatible with the surrounding buildings; the landscape architect objected on the grounds of loss of open views; the Bath Preservation Trust objected to the damage that would be done to the character of the area. On top of those there were 12 objections. Nobody wrote in support. It is clear from the latest correspondence that a meeting was to be held between Planning Officer, Conservation Officer, architect and architect's consultant on 16th October. There are no details of what was discussed at that meeting, but on 30th October the planning application was formally withdrawn. Thank you to everybody who wrote in with objections. 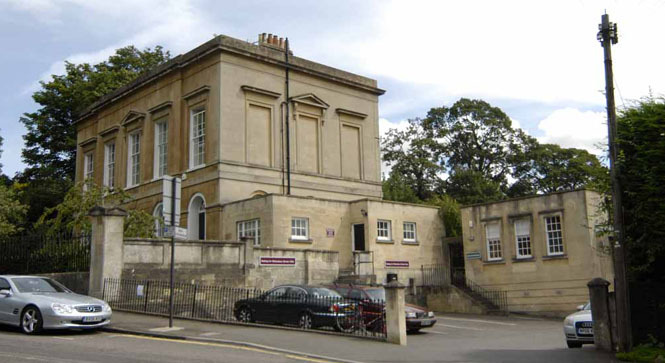 This development is to convert the current Bath Orthodontics building into a larger premises, with Bath Orthodontics on the ground floor with two dwellings above. 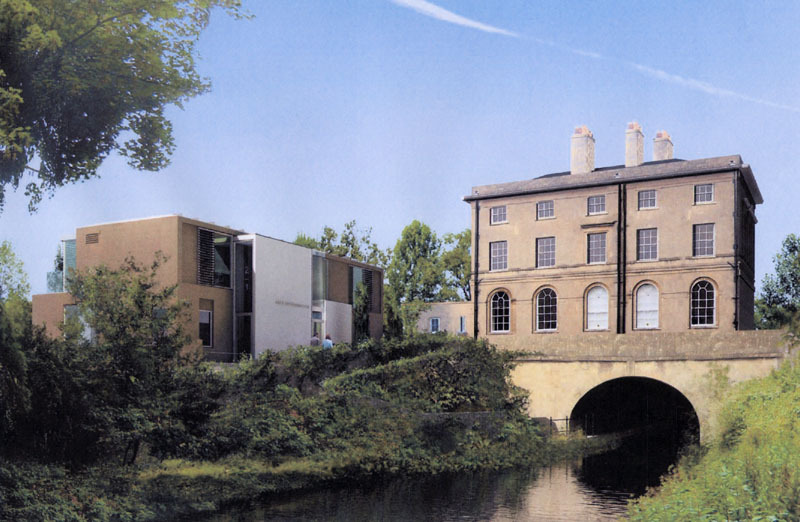 The current building is unlisted (and indeed fairly inconspicuous), but it is located on the banks of the Kennet and Avon canal and between Cleveland House (which bridges the canal) and Kennet House (built in 1846). Both of these are Grade II listed. Two other listed buildings are on the other side of Sydney Road: "Lonsdale" is directly opposite. The effect of this development on the area is quite dramatic. This is best demonstrate by pictures. This is the view from Sydney Road, now (left) and as proposed (right). This is the view from the canal, now (left) and as proposed (right). If you look at the picture on the right in the planning documents, you will find it compressed vertically, a sneaky trick which has the effect of making the new building look smaller. I have resized it to match the picture on the left which is an actual photograph of this view. Notice in the view from Sydney Road how the Bath Orthodontics building is quite inconspicuous, but it blends in. The roof height is the same as the outbuildings beside Cleveland House, and the sash windows with glazing bars match the appearance of the Cleveland House front. Although it is a modern (1960s) infill, it looks as though it belongs. Compare that with the proposed new buildings, where the height makes it obtrusive when viewed through the windows of Cleveland House and the solid wall, blank apart from a wide window, clashes with the building alongside. Even worse is the view from the canal. Here the current building is invisible behind the foliage (which grows up a screening trellis) and the proposed building looms above the access path to the canal towpath. It ruins what would otherwise be a lovely photograph for tourists to take home with them. 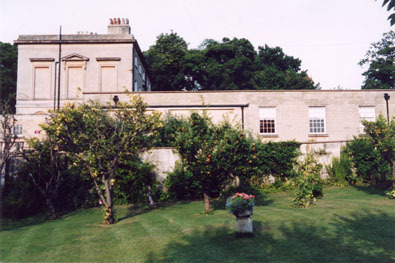 This photograph (Copyright Paul Morris) shows the existing building as seen from the garden in front of Kennet House, where it is partially hidden by foliage, and the part visible. The visible part blends in reasonably well with Cleveland House, but because of the difference in ground level between Bath Orthodontics and Kennet House grounds, it has the appearance of almost two storeys. The proposed building has two further stories above that roofline, so it will tower over the garden, and residential windows will overlook both Kennet House and its grounds. 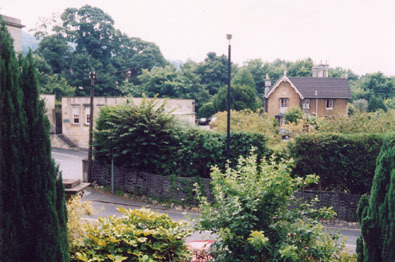 A second view from the opposide side of the road is shown in the photograph below (Copyright Paul Morris) which shows clearly the relative heights of the current Bath Orthodontics building and Kennet House. 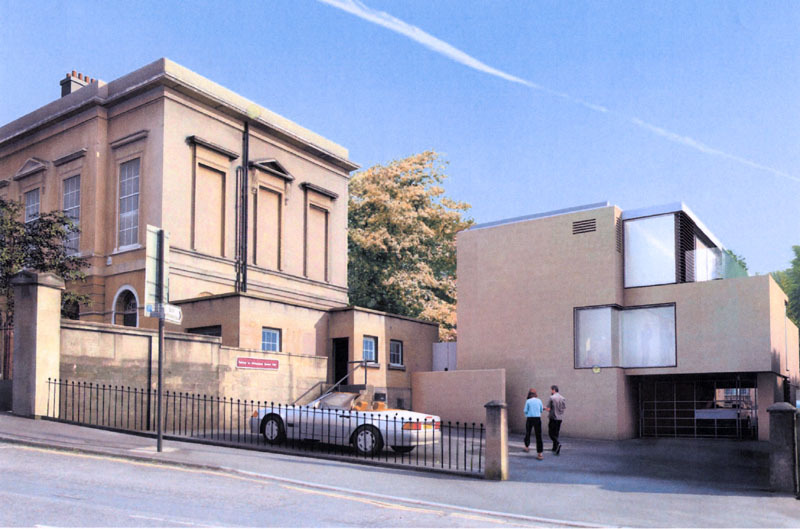 In 2003, there was a previous planning application (03/01727/FUL) for the Bath Orthodontics building. It was described as "First-floor extension with pitched roof to existing single-storey flat roofed building" and it looked like the pictures below. The planning application at that time does recognise that the current building, whilst of no great architectural merit, blends with the surrounding buildings. That is claimed to be why the new first floor incorporates the stone detailing round the existing windows to continue the proportion and style, and why the pitched roof was chosen to cap it. Clearly that application made some attempt to fit into its location. The proposal, by reason of its size, and design, would result in a development that would be incongruous, obtrusive and over dominant which would be of significant detriment to the setting of the Grade II listed Kennet House and Cleveland House, the Kennet and Avon Canal and which would neither preserve or enhance the character and appearance of the streetscape and this part of the Bath Conservation Area and World Heritage Site. This would be contrary to Policy C1, C2, C3 and C4 of the Bath Local Plan adopted June 1997. The proposal, by reason of its design and siting of the windows, would result in undue overlooking which would significantly reduce the residential amenity of the occupiers of neighbouring property. This would be contrary to Policy H5 of the Bath Local Plan adopted June 1997. The applicant appealed (Appeal number APP/F0114/A/03/1128710) and the appeal inspector upheld the refusal. If something proposed in 2003 that was attempting to fit in can be so roundly rejected, how much more worthy of rejection is the proposed "1960s Maisonette" style in the 2007 planning application. If you see any notices about a new planning application on this site, please let us know. Details of how to get in touch are on the Contacts Page.